Things to do two and three years olds. Five Things to Do This Valentine’s Day-That Fills Everyone’s Love Tank! We have natural preferences and tendencies to give and receive love in one or two of the five ways listed. 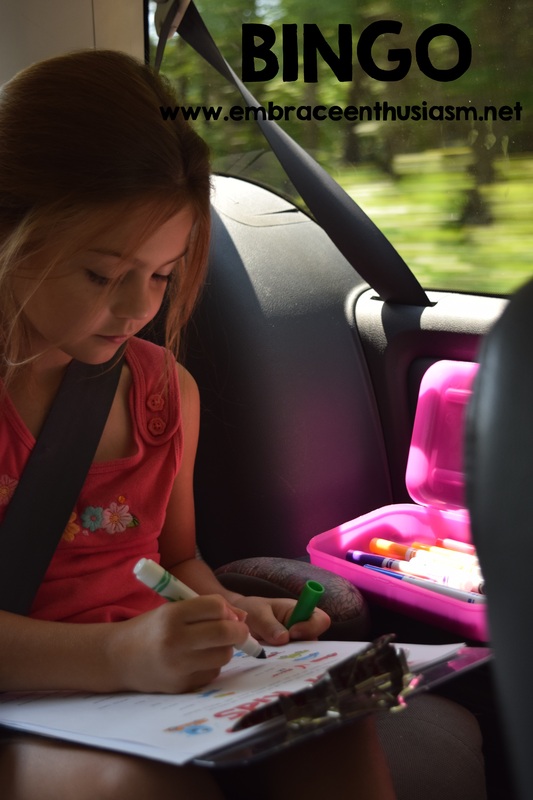 Dr. Ross Campbell, a psychiatrist of children and adolescents, suggests each person has an “emotional tank” that needs to be kept full for optimal health and well-being. When our “love tank” is empty, we do not feel loved, perspective on life seems darker, we may feel irritable, and act out. “A lot of misbehavior in marriage grows out of an empty love tank,” said Dr. Gary Chapman. Our children have their own love languages and love tanks too. Although, their primary languages will not be established until they are older, it’s important to keep their “love tanks” full by loving them in all five ways. Knowing your own and your family members’ love languages can improve relationships and help see interactions in a new way. Your can discover your love language here. This Valentine’s Day be intentional with how you love and work to keep love tanks full. Below are a few ideas that reaches each type of love language. 1.) Add flour, salt, and cream of tarter to a large pot. Stir. 2.) Add water, oil, and food coloring. 3.) 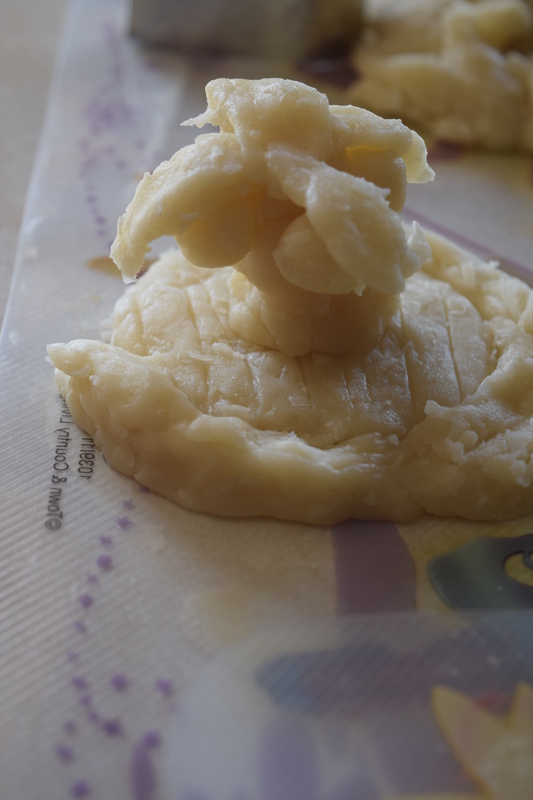 Over medium heat, stir mixture constantly until dough has thickened. 4.) Separate dough into two bags quart size plastic bags and add silver and red glitter. 5.) Knead the dough in the bag until glitter and food coloring is incorporated and combined. The playdough can be packaged with a heart cookie cutter and given as a cute Valentine’s Day gift. Try a new recipe and learn a new technique. Here’s a scrumptious recipe for truffles by my friend Stacey. They make a beautiful, thoughtful gift! 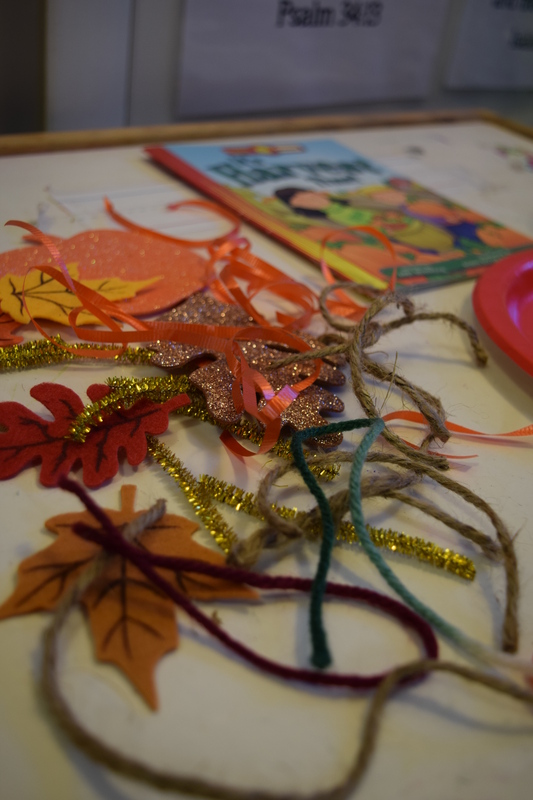 Younger, Older Kids and Adults: Pull out the craft supplies and lots of glitter and make Valentine’s cards. 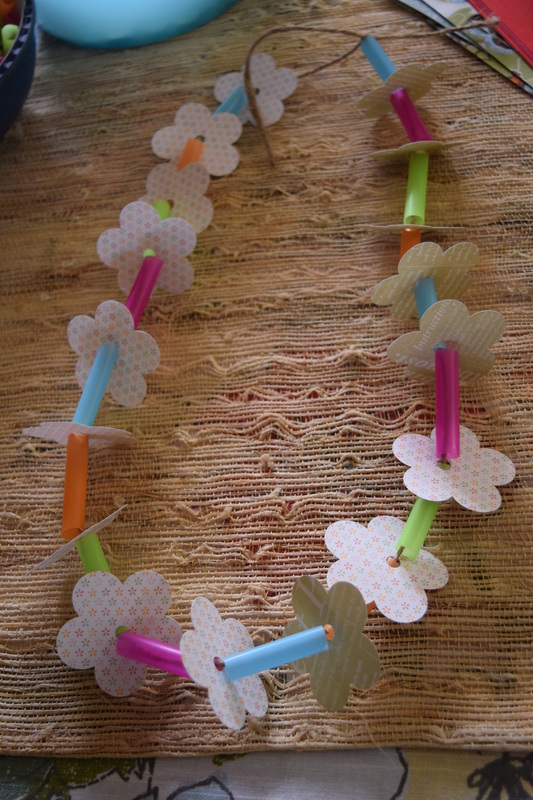 We did a simple sewing project this week with muslin and embroidery floss. With a pencil, I stenciled a heart on the fabric and embroidered around the traced shape. They added heart after heart in different colors. The end result was so cute, we framed them. 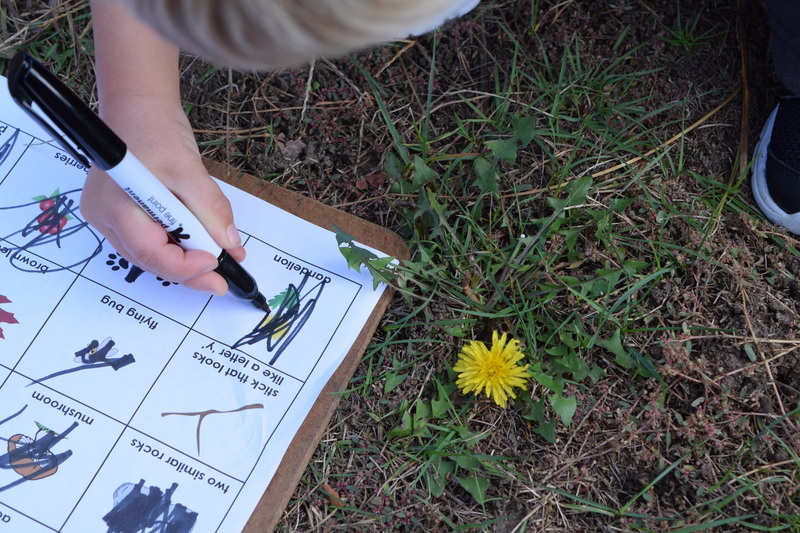 Create a gratitude board with the 100 Things I Love activity. 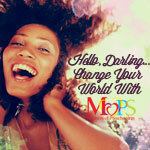 We did this at MOPS a few of years ago as a practice in gratitude. It was a great reminder of all the big and little blessings that make my life richer and more enjoyable. 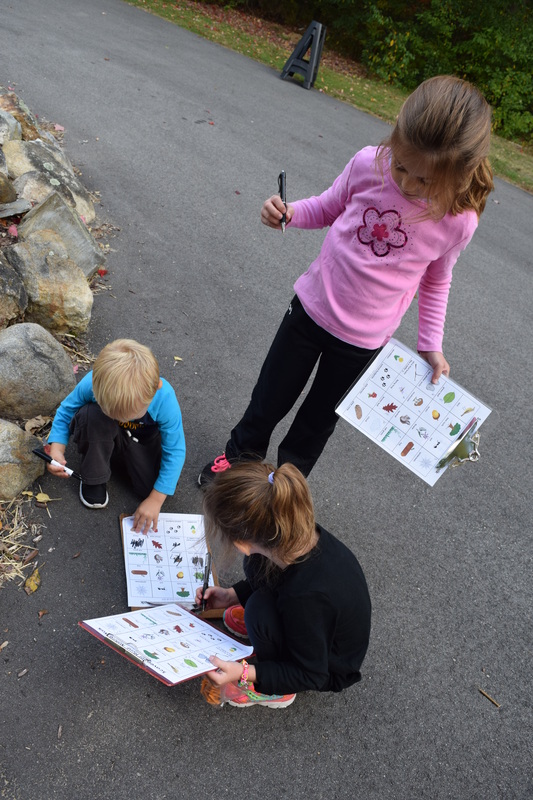 This activity could be done together or separately. Grab a partner and learn a new dance with these fun dance cards from Step Calvert Art. One of my favorite parts of the day is when we are all snuggled on the couch with a cozy blanket and a good book. 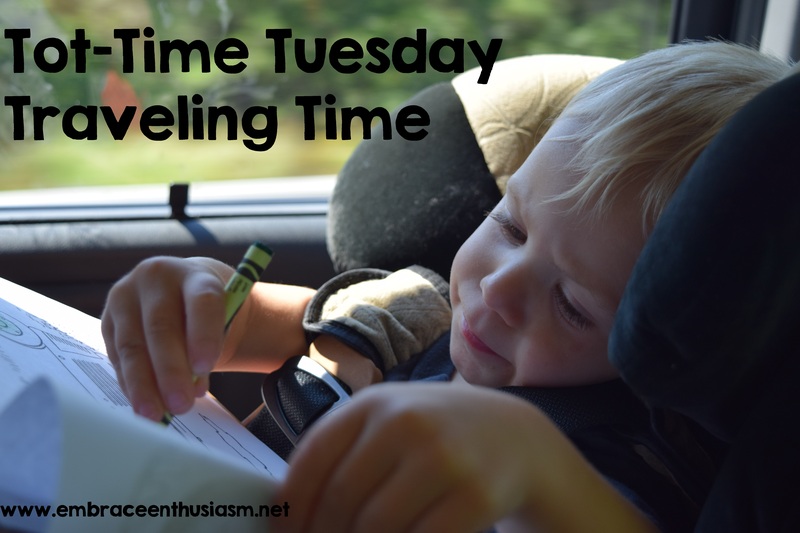 No matter what the book it is, it’s the time spent together, the amazing places you “go”, and the interesting characters you “meet” that makes it such a special time. I also love the great conversations that follow the readings. Take time to slow down and enjoy your loves today. Have a very happy Valentine’s Day! The first day of autumn was last week but the warm weather continues to linger in parts of New England. I am ready for autumn to make its full, glorious appearance and stay for good. Rainbow leaves, over-sized, comfy-sweaters, UGGs, fresh apples, and bright-orange pumpkins are some of my favorite things and I cannot wait to be reunited with them. 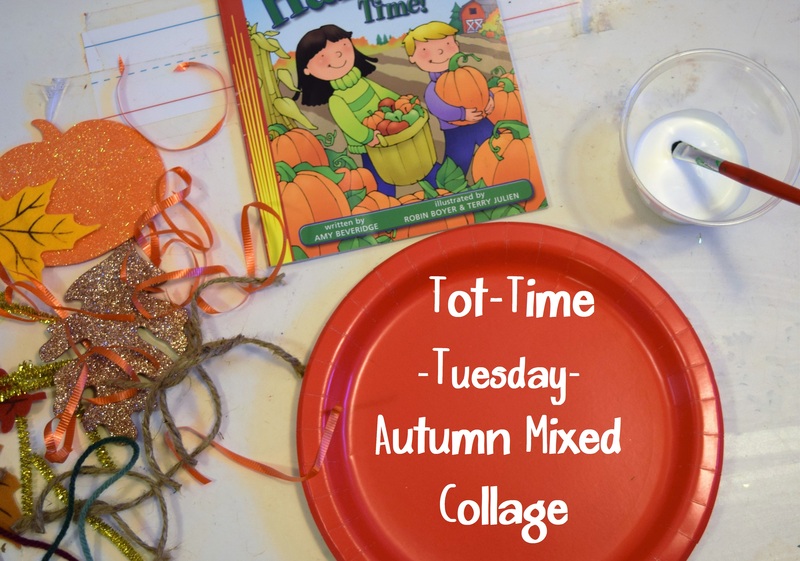 Last Wednesday, to get us in the right mood for fall, I read It’s Harvest Time by Amy Beveridge. 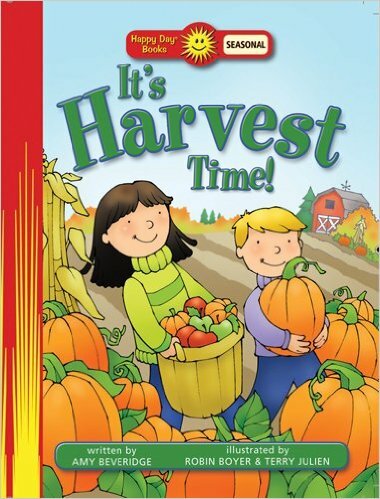 It is a short, early reader that highlights all of God’s blessings in the season of autumn. I love these little, inexpensive Happy Day books (Tyndale House Publishers.) They incorporate faith, family, and values in interesting stories with brightly colored pictures. I put some Mod-Podge in a cup, gave my son a paint brush and demonstrated how to paint with the glue, then stick the item to the plate. I think that he enjoyed painting with the glue more than placing the items. When my girls were his age, they would have enjoyed placing the items (A LOT of items) on the plate over the gluing part. 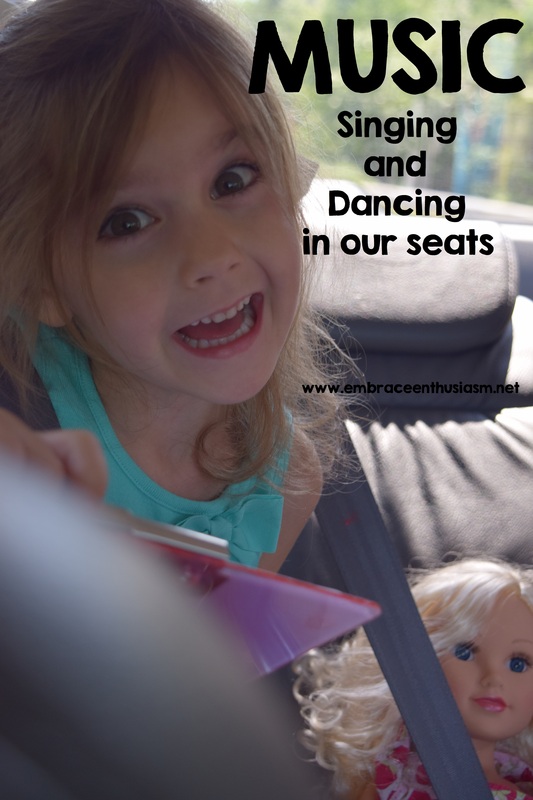 The differences in my children amaze me and makes me smile! 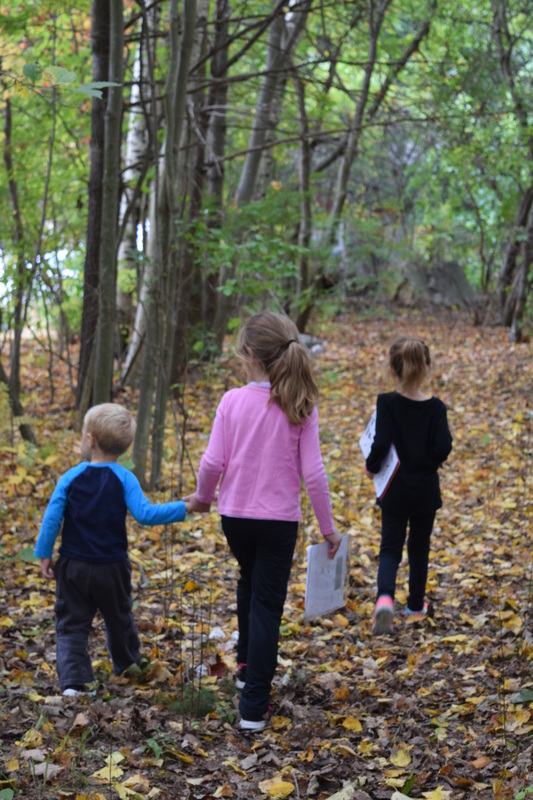 Today was our first official day of homeschool and part of me really wanted to write about our first great day of school. BUT another part of me felt obligated to pay homage to the “Summer of Fun” and close out our summer with a respectful farewell. 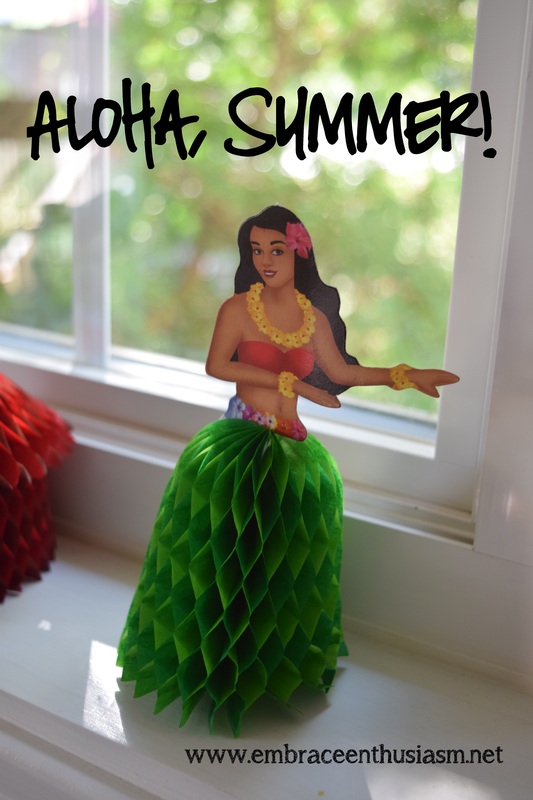 In the beginning of the summer, I wrote an article called My Summer Plan that MOPS International published on their leaders blog. In my article, I declared that this summer would be a time for me to lighten up, be more carefree, notice goodness around me, and go on new adventures. 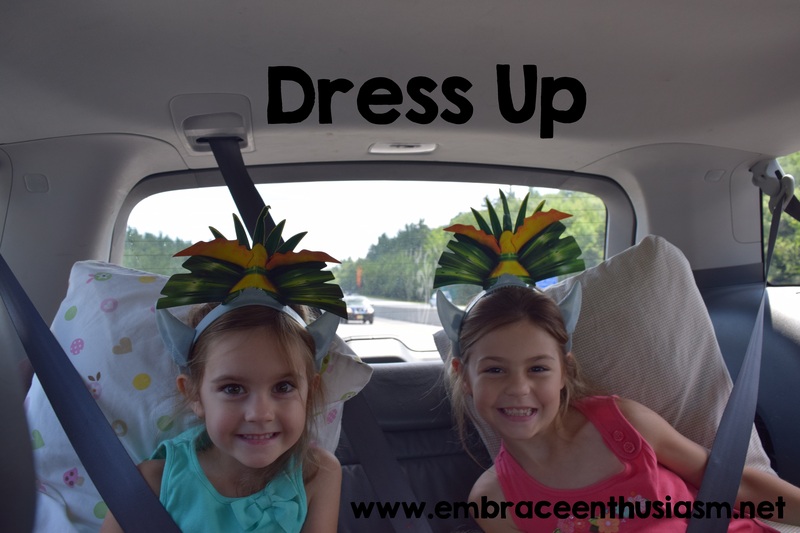 After I wrote that article, the girls and I created a Summer Bucket List and we started making plans to have some serious FUN. We wrote down whatever their hearts desired- big or small- it did not matter. This was a dreaming list. When the list was complete, we posted it on the fridge and looked to see what we wanted to do first. Most of the activities were easily achievable–icecream, the beach, stay at a hotel- those were things we normally do in the summer. 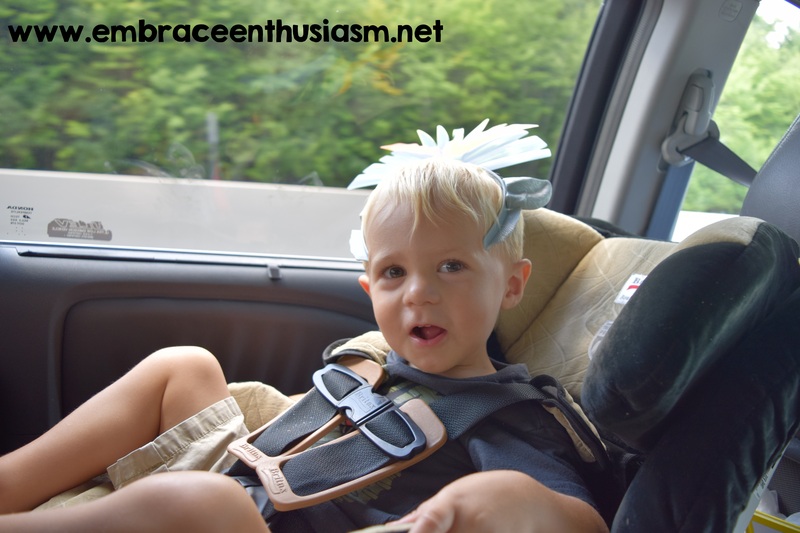 But there was one item on the list that I knew would involve some creative thinking. Item- GO TO HAWAII!!! This was my youngest daughter’s contribution to the list. I knew we could never afford the planes tickets, the hotel stay, or find the time for a real trip to Hawaii; but I did not want to stifle her enthusiasm to add her thoughts to our bucket list. If we could not get to Hawaii, I would bring Hawaii to us. 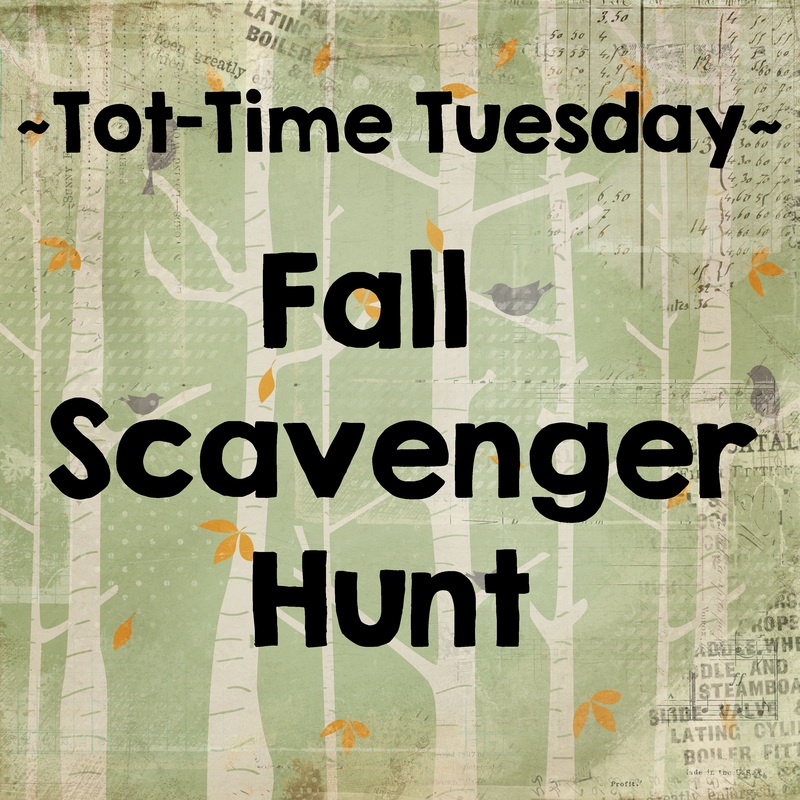 Last week was our last full week of “fun” before homeschool started and we started the transition into our “fall schedule”. My parents had come for a visit. It was a perfect time to “take a trip” to somewhere tropical. 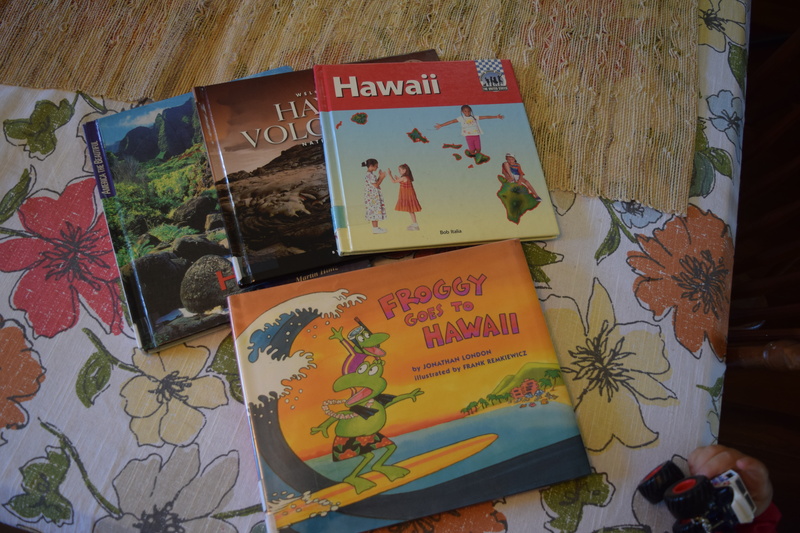 To prepare for our trip, I borrowed books on Hawaii from the library. 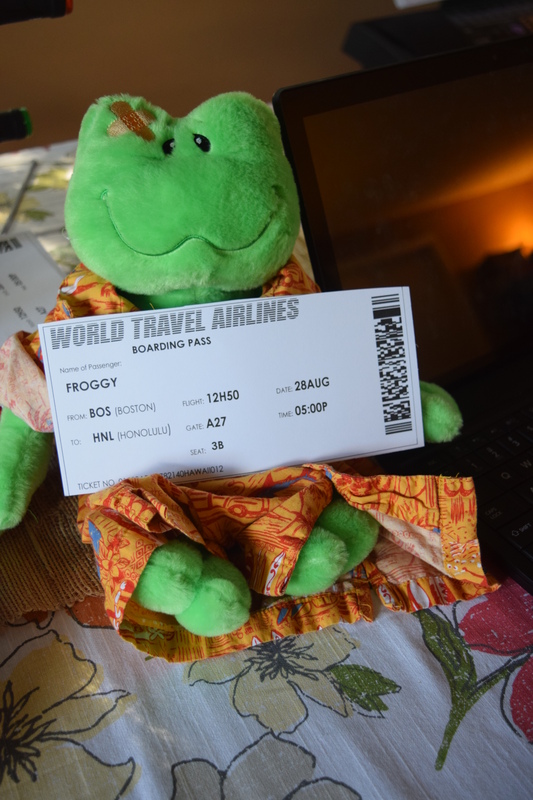 Our favorite was Froggy Goes To Hawaii by Jonathan London. I think we read it three or four times and laughed at the same places every reading. 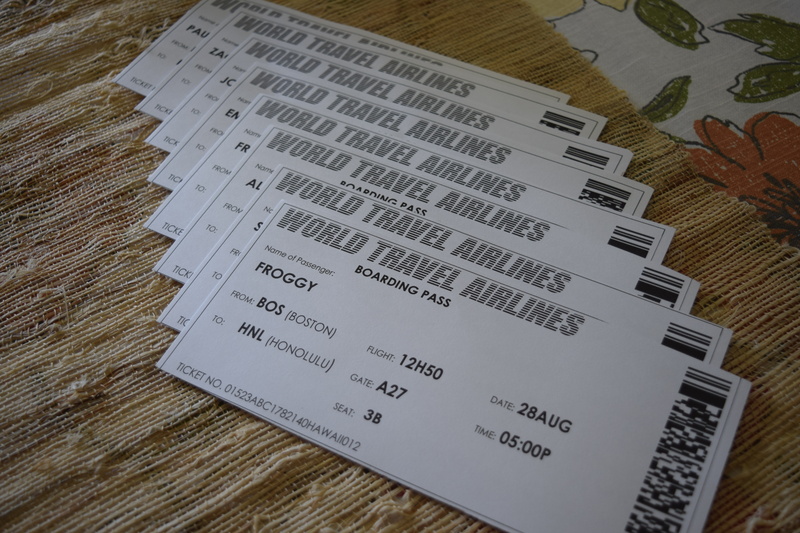 On the day of the big event, I gave everyone their boarding tickets and we patiently waited for the time to board the airplane. 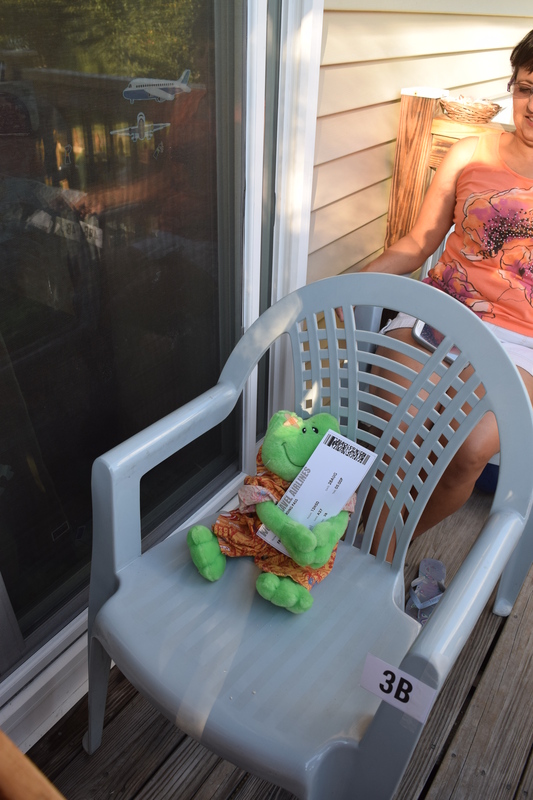 Froggy got a boarding ticket too! 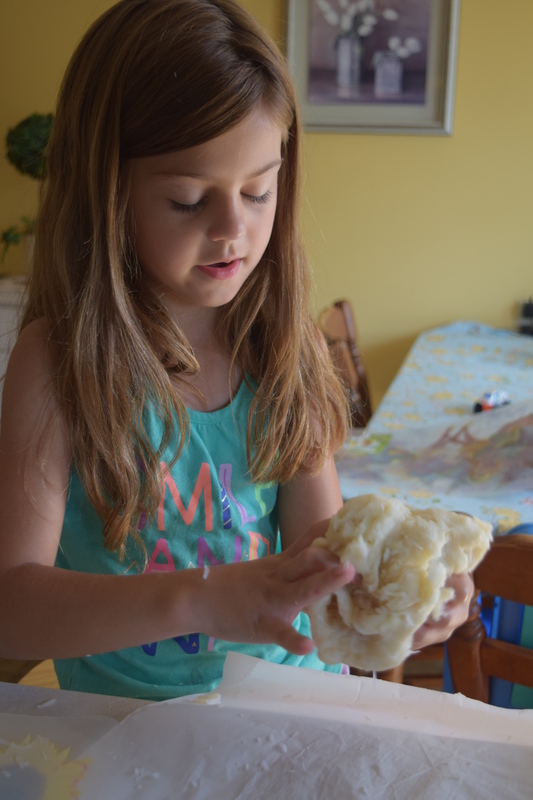 I had the kids help me make Coconut Playdough. (I found the recipe at The Moon and Back Blog.) I wanted a strong coconut smell so we added a lot of flaked coconut (almost a whole bag) to counter the smell of vinegar. 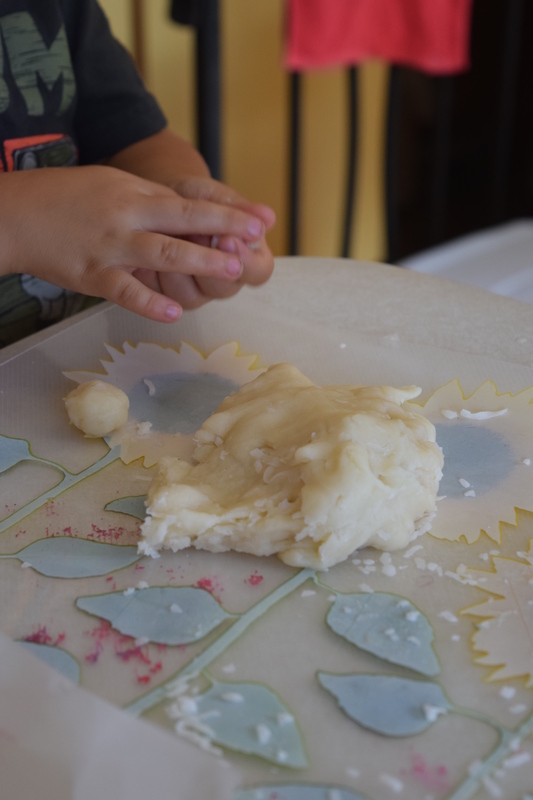 This playdough recipe has good texture and the oil leaves your hands feeling soft. Coconuts seemed to be the favorite thing to make. As the kids were creating with playdough, I prepared dinner. The menu consisted of ham, grilled pineapple, grilled potatoes & onions, mango salsa, and POI. 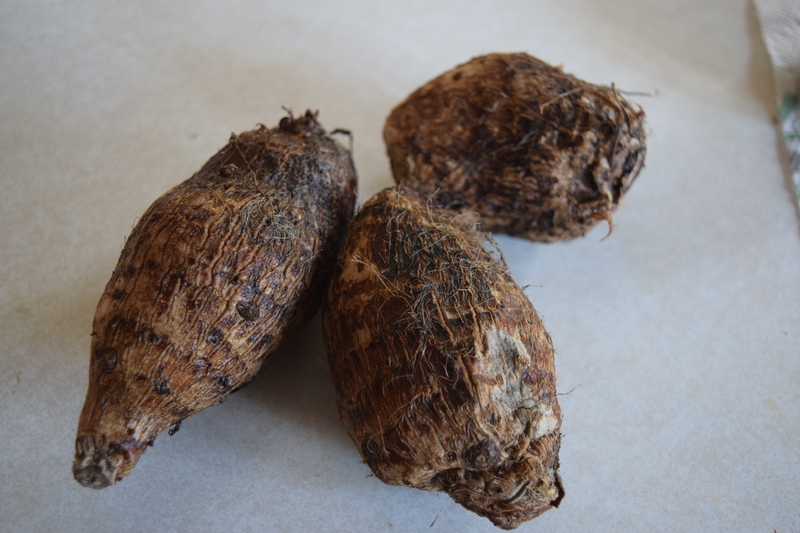 Poi is a Hawaiian word for the primary Polynesian staple food made from the underground plant stem or corm of the taro plant (known in Hawaiian as kalo). It is a traditional part of Native Hawaiian cuisine and is produced by mashing the cooked corm (baked or steamed) until it is a highly viscous fluid. 1 I wanted a traditional dish at dinner and the recipe to make Poi seemed like it would not be too hard to make. I questioned myself during the recipe- it seemed too simple. Peel, chop, steam, mash, add water. It was suppose to turn a purple color (which I was excited about) but it ended up a gray color (which I was not so excited about.) It did not have a bad taste (like a sticky, gooey potato) but no one had a second helping. I was happy that we all tried something new. The flight to Hawaii was delayed (a.k.a dinner was not ready) until 5:30 PM. At that time, we all boarded the “plane” and found our appropriate seats. After two rounds of “I’ve Got A Lovely Bunch of Coconuts” (Merv Griffen) we had arrived in beautiful Hawaii. 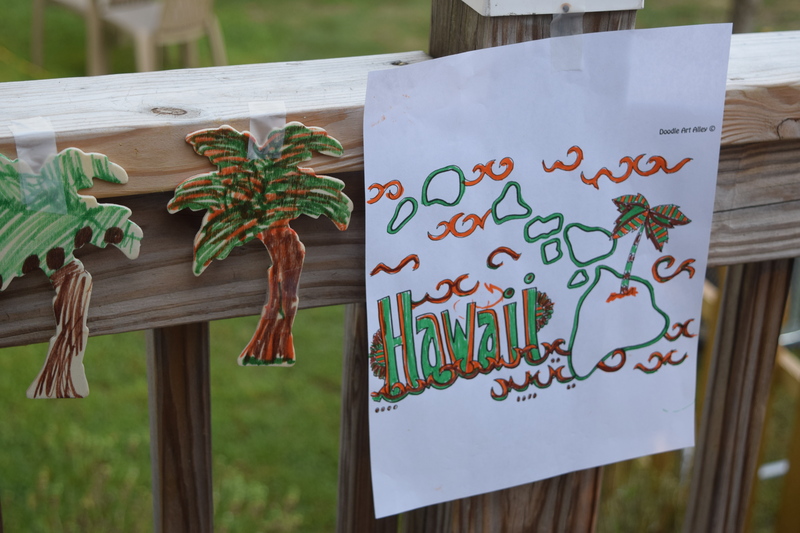 There were paper-leis to be made, palm trees to be decorated, and Hawaii coloring sheets to be colored. The weather was perfect and my husband found a great album of Hawaiian songs on Rapsody to add to the great atmosphere. 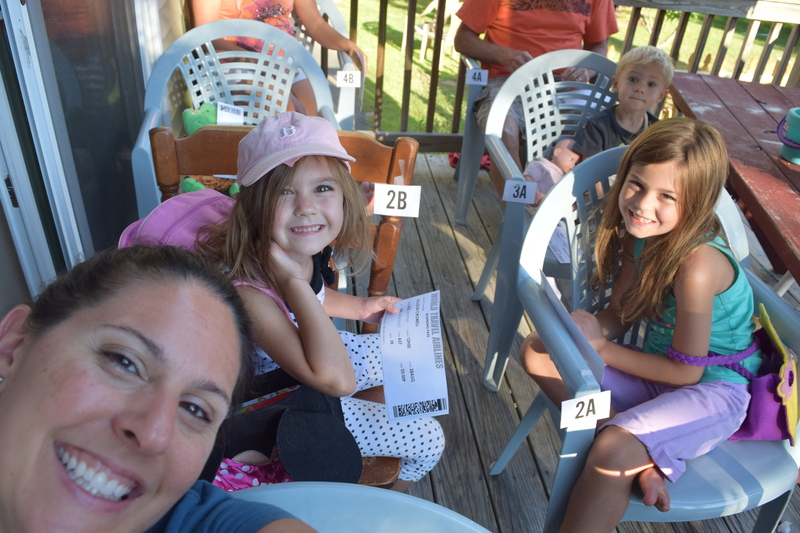 We ate and ate and laughed and laughed until the mosquitoes corralled us into the house. We closed out the night with a creative dessert that my parents provided. 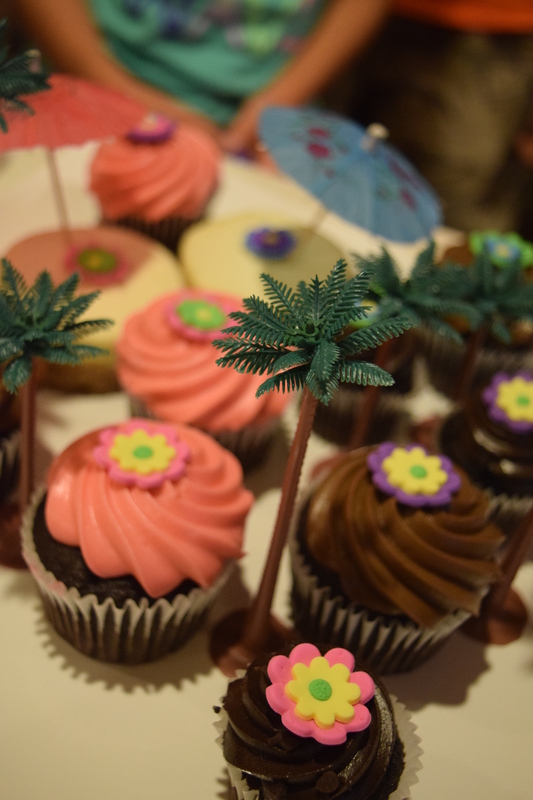 I was touched when I found out that they went to five stores trying to find gluten-free treats and palm trees to keep with the theme and a creative look . 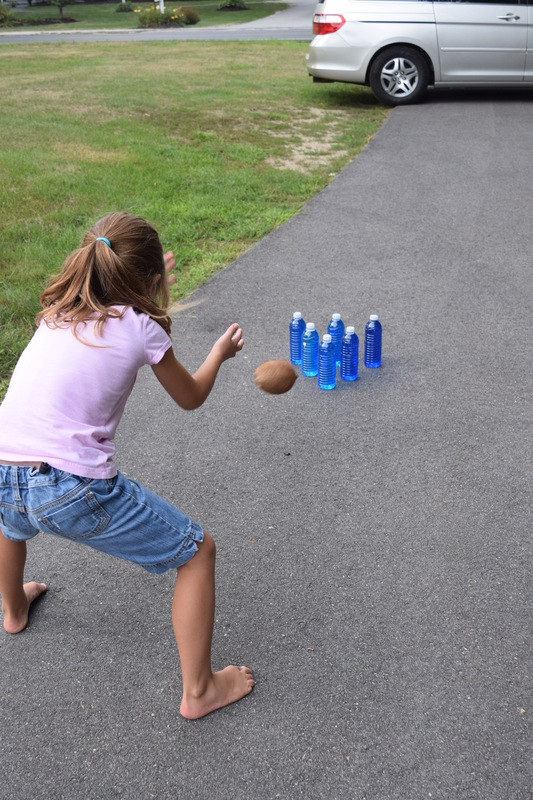 PS The next day, we played Coconut Bowling (bowling was also on our Bucket List) Highly recommend this game. Highly recommend doing it outside. Coconuts are hard! If you have serious competitors in your house, here is a Printable Score Card to use. We went on a short family trip over the weekend. I knew that we would be spending a bit of time in the van- about 3 hours each way. Although the kids would have been thrilled to watch movies the whole time, I wanted at least one way of the trip to be completely screen-free. With a little research and a few Pinterest searches, I came up with some ideas. We started our trip off with a quick trip to Wendy’s (no fast food judgments-LOL.) My son found a creative (and disgusting) way to entertain himself. I also had plenty of other healthy snacks on hand. Granola bars, dried fruit, pretzels, almonds, and Annie’s Organic Fruit Snacks. The fruit snacks were a hit. I rarely buy them so they were a treat for the kids to eat. The Kid’s Meals came with a toy (King Julien’s crown) which provided about 5 minutes of entertainment. And since we like to “Move it, Move it”…. Our top music album choice this weekend was TOBYMAC’s ***THIS IS NOT A TEST*** This album was just released August 7th. It is a great collection of soulful dance and pop music. With family friendly and uplifting lyrics, it is hard not to move or be in a good mood listening to it. I was surprised at how long coloring occupied my little guy. Before the trip, I printed out free coloring pages of some of my son’s favorite things- tractors and monster trucks. 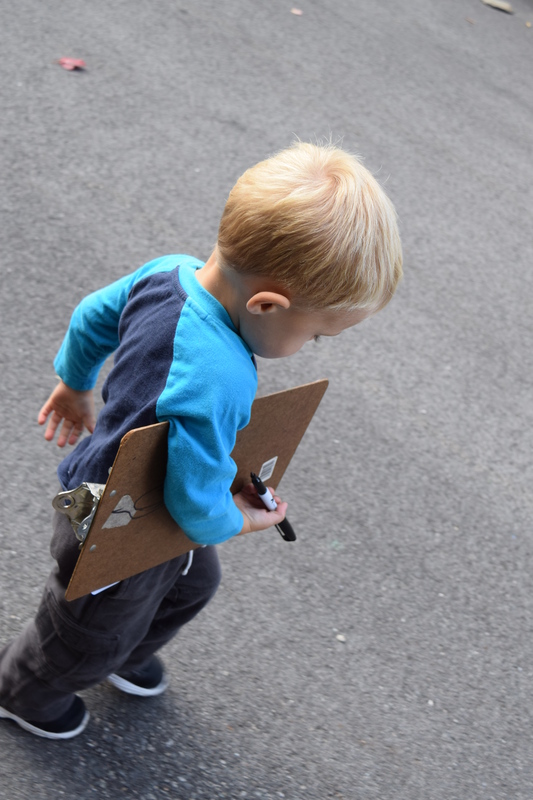 I put them all on a clip board and handed him one crayon at a time. I was afraid to give him more than one as the whole crayon box would have been poured out. 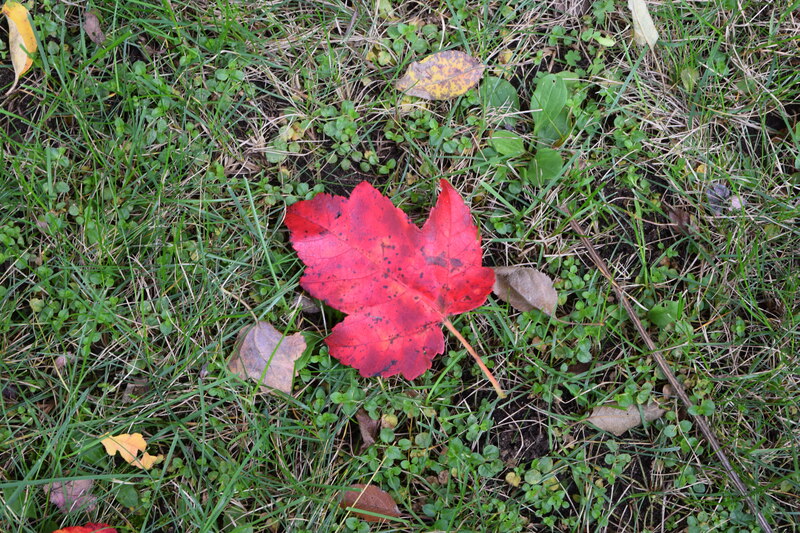 This was also a great time to practice and reinforce color recognition. 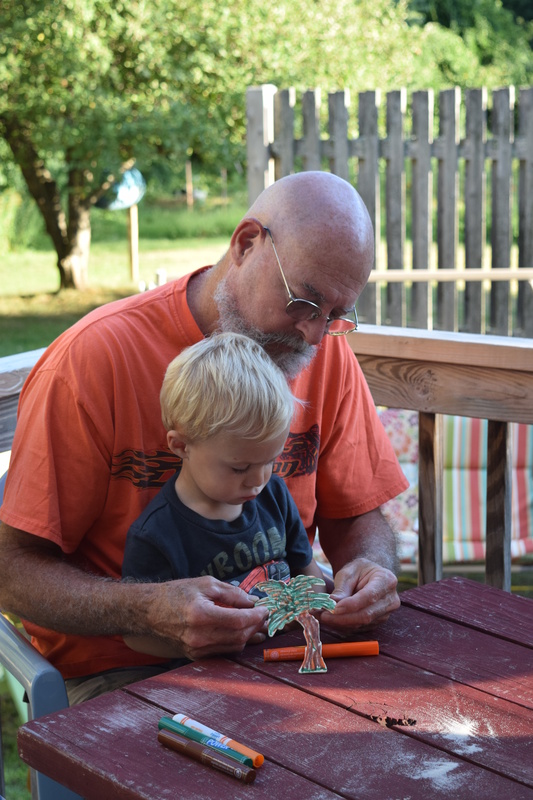 “Oh, you want a GREEN crayon.” “Sure, here is a GREEN crayon.” It is amazing how much learning is done naturally. Their Road Trip FINAL QUESTIONNAIRE was great but the questions were geared for a husband and wife trip. I came up with my own questionnaire that could be used with the whole family. (See PDF below.) It’s going to be a great way to get the family talking on our next road trip. Something to look forward to on our next adventure! 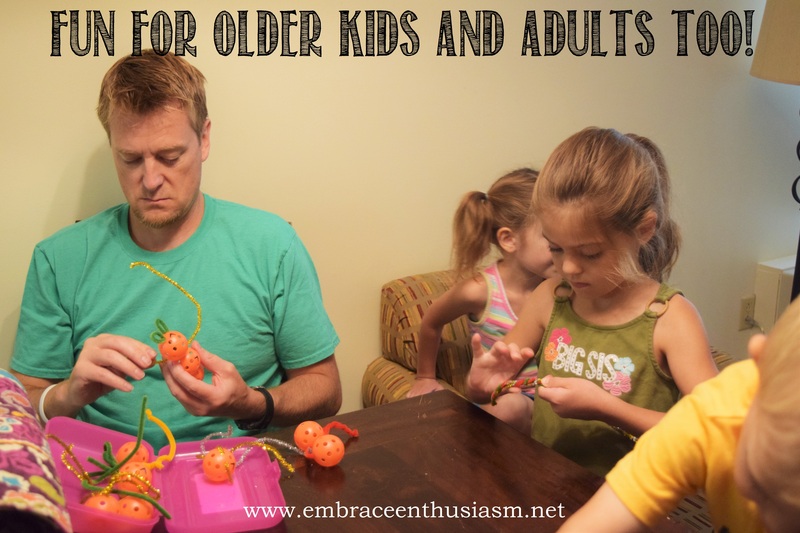 I am always searching for ideas that are easy and that keep my two-year old entertained for longer than one whole minute. I found this idea on Pinterest from Laughing Kids Learn. 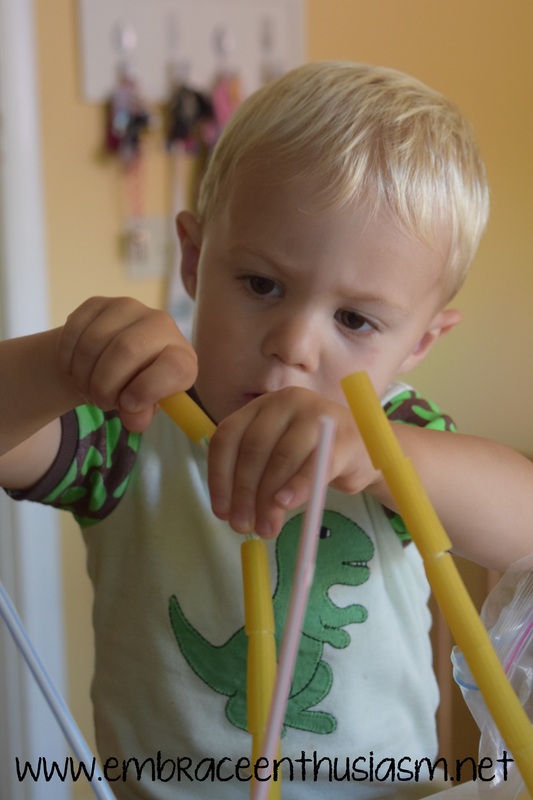 The author calls this activity “Pasta Threading.” It is great for the development of little one’s fine motor skills. 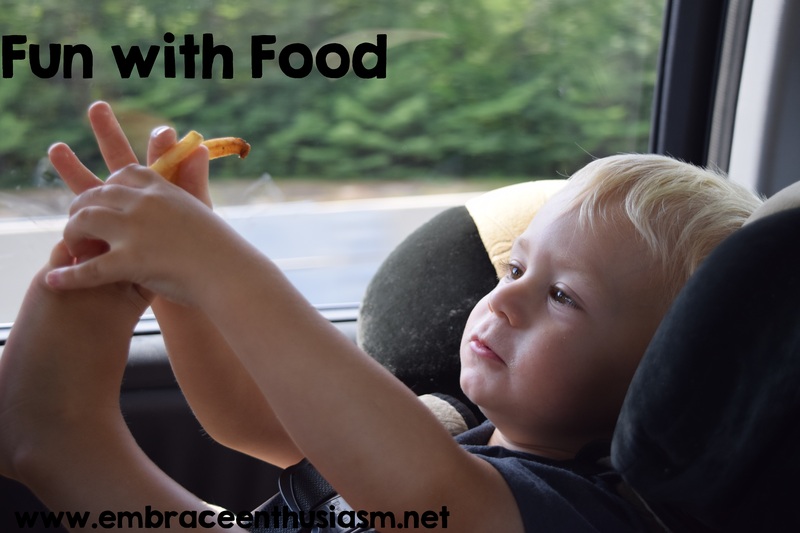 Fine motor skills generally refer to use of the small muscles like fingers, hands, and wrists. 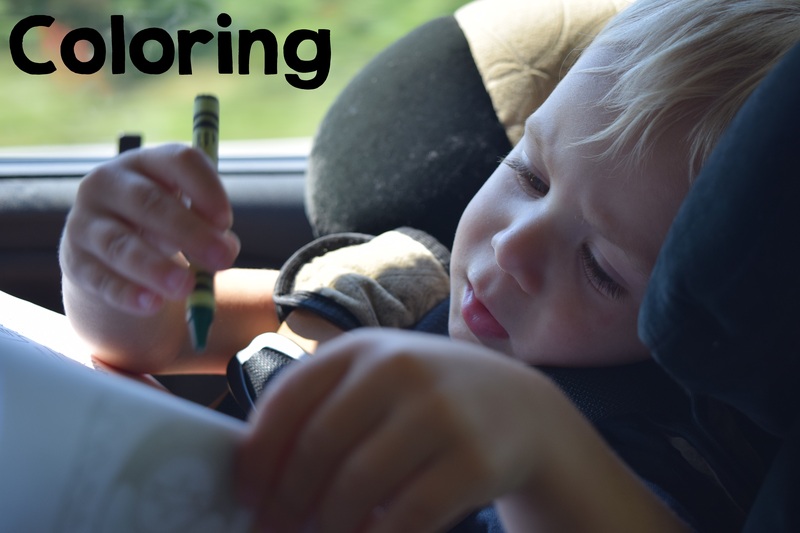 Development in fine motor skills help with tasks such as stacking blocks, zipping zippers, turning book pages, holding a pencil, handwriting, and using scissors. 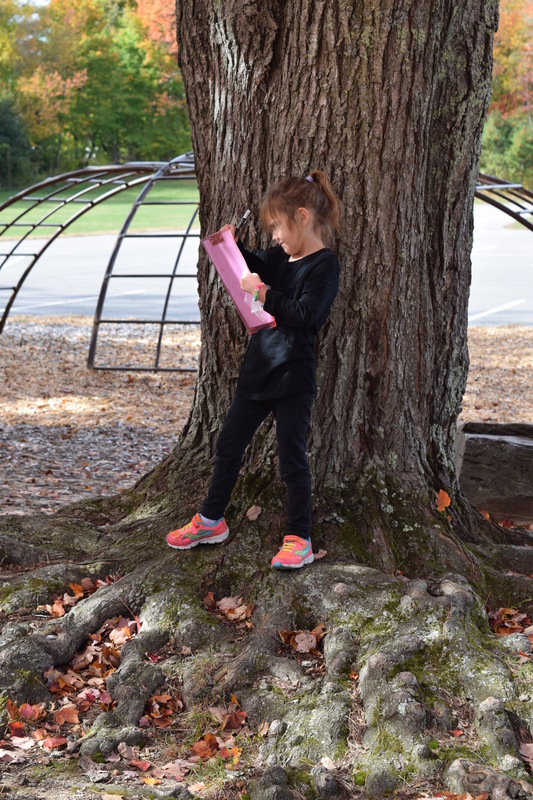 As a child develops, they gain more motor control and can perform more sophisticated motor tasks. 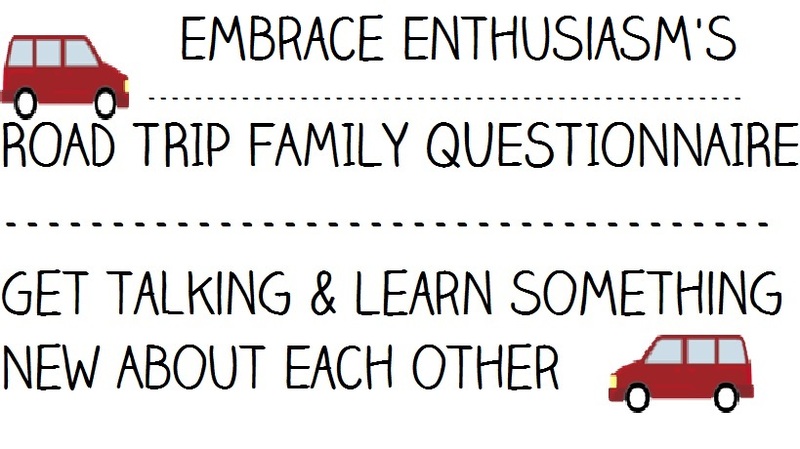 As a parent and teacher, it is important to provide opportunities for your little ones to practice these skills. 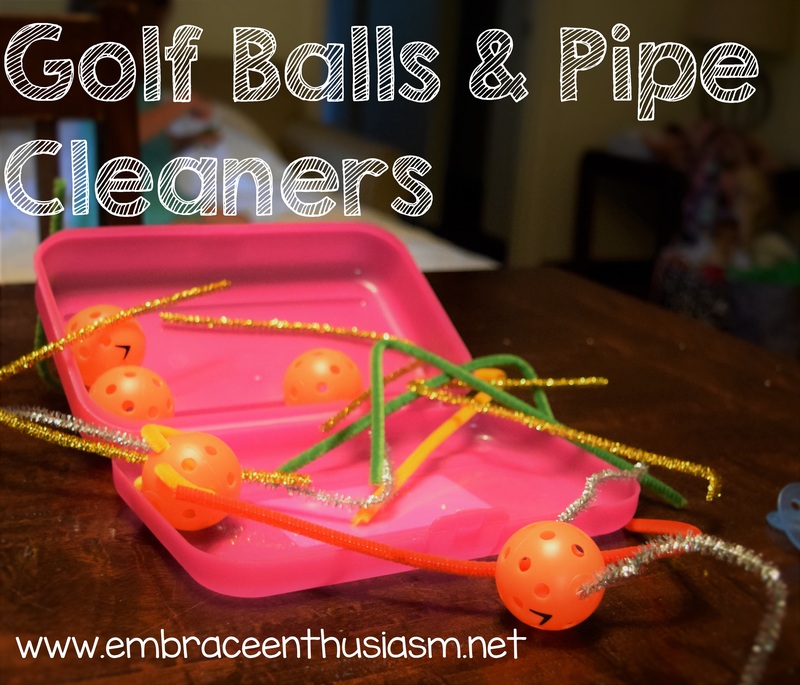 I had everything in the house that was needed for this activity. 1.) I made a ball of playdough. 2.) I stuck straws in the playdough. 3.) My son placed the pasta on the straws. It was a easy as 1-2-3. 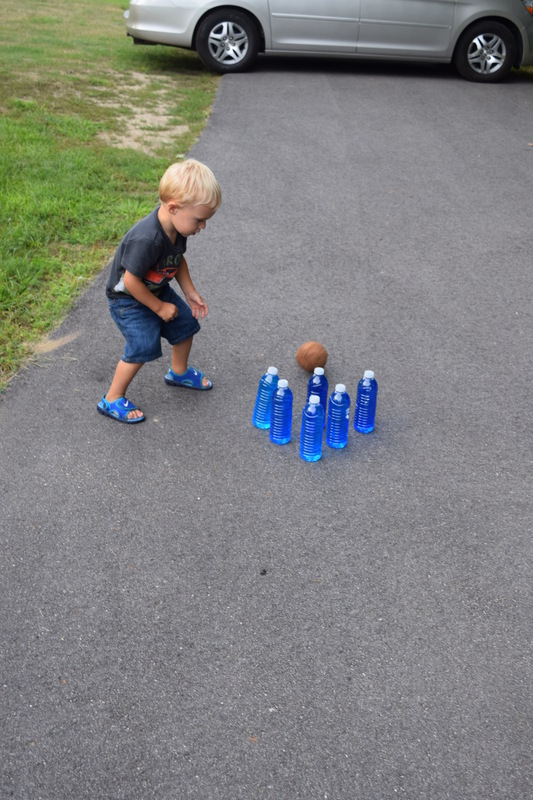 This activity kept him entertained for enough time that I could unload and load the dishwasher AND prepare dinner in the crock pot. 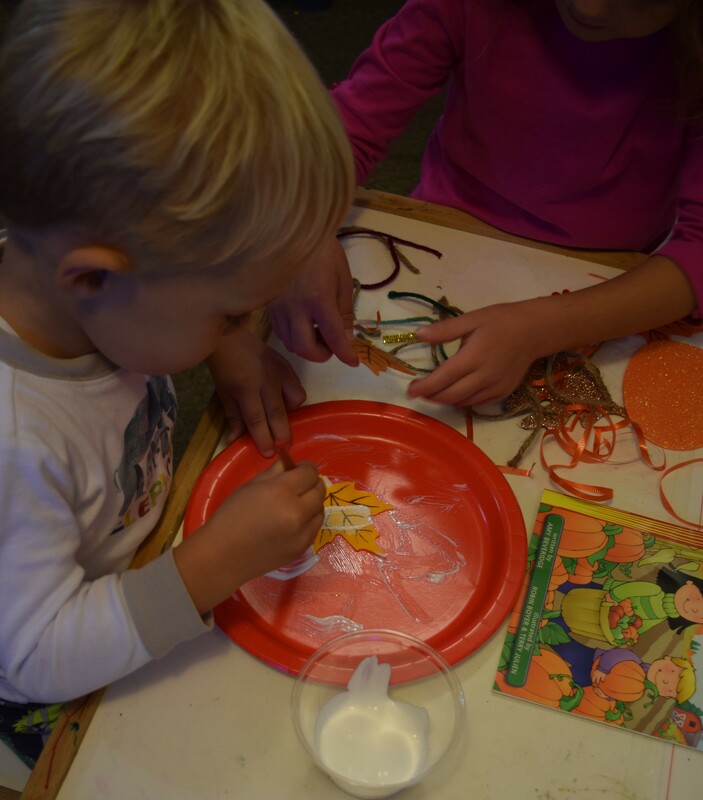 After a while, he just wanted to play with the playdough and that was fine because playdough is another great activity for developing fine motor skills. 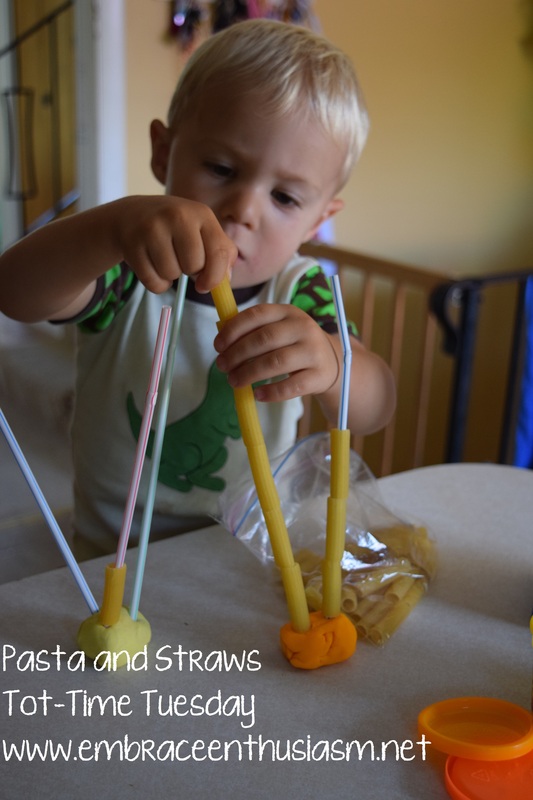 TIP: When we do this activity again, I am going to have a larger area of play-dough available, more straws, different widths of straws, and different types of pasta. If I get really ambitious, I might use different colored pasta too! 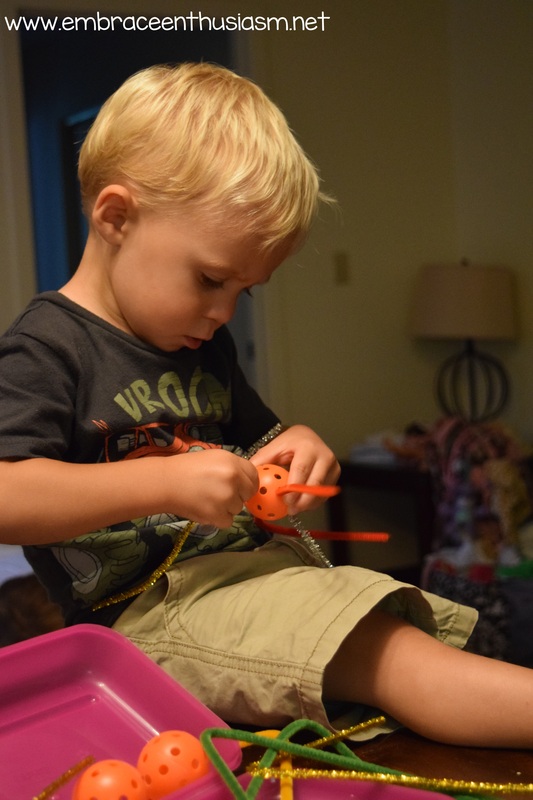 I think having some different options would have kept my son engaged for a longer period of time. (Maybe wishful thinking?) 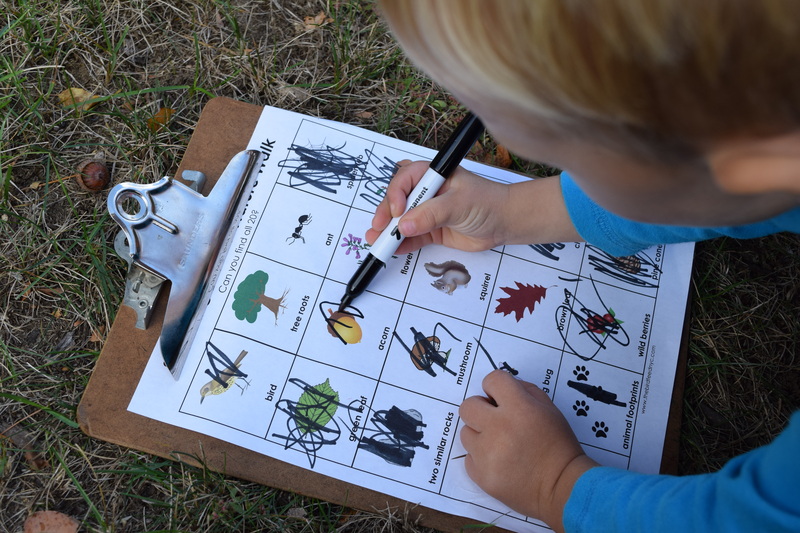 And we could work on some other skills like color recognition, compare and contrast, sorting and attributes.